1762 J. Gibson map of "Pensilvania, Virginia, Maryland and New Jersey"
This is the area of Carter County from the full map below. In the center of the image, the Scioto River flows south into the Ohio River. To the right of their junction, "Gr. Sandy" is the Big Sandy River. 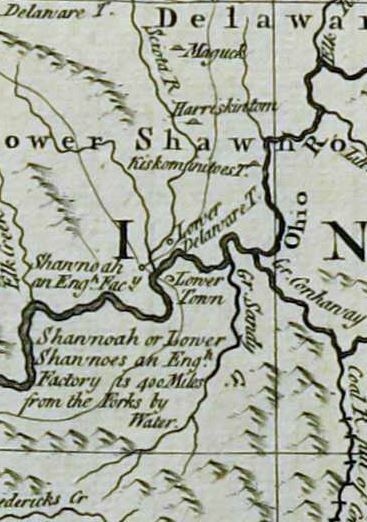 "Lower Delaware T." was later kown as "Lower Shawnee Town", near the present location of Portsmouth, Ohio. that "Lower Town" was in the area of modern Garrison, Ky., and that the trail followed the "Nepernine"
relatively flood plain that would have been an attractive trail route. 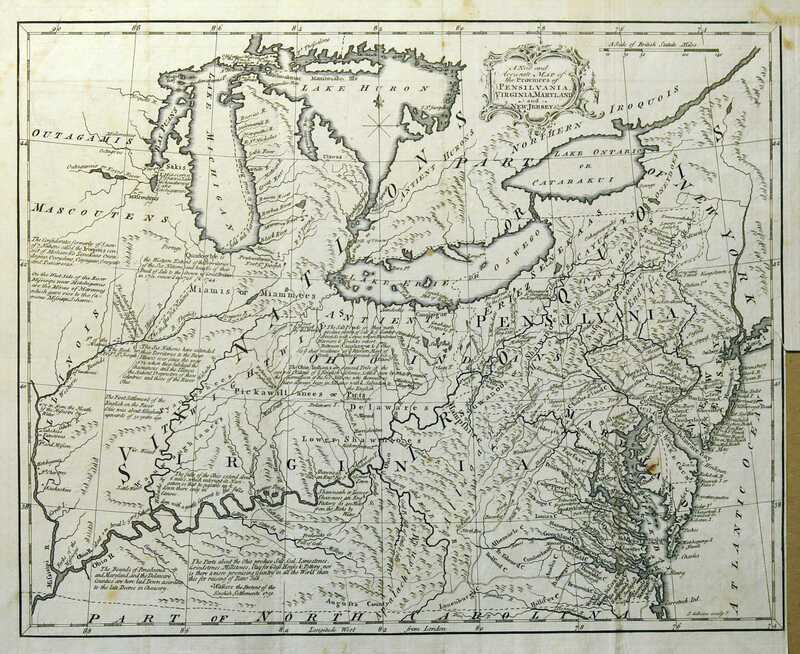 Just to the west of the juncture of the Scioto and the Ohio Rivers we see "Shannoah on Eng. Fac." marked. the river navigable to large vessels. 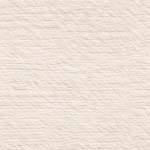 The map of the upper reaches of the "Gr. Sandy" and the "Low. Salt Lick Cr." to its west look somewhat improvised. rather than from the west southwest as depicted on this map.